This story is unbelievable, yet sadly -totally “believable”. A friend of mine sent me this story today and it details how United Airline Employees apparently destroyed Dave Carroll’s Taylor guitar and would not compensate him for the damages. The e-mail is posted verbatim below (as well as his response video). As of this posting there were 6,467,050 viewers of his YouTube video! This unfortunate experience has made him and his group an overnight phenomenon in more ways than one! “A musician named Dave Carroll recently had difficulty with United Airlines. United apparently damaged his treasured Taylor guitar ($3500) during a flight. Dave spent over 9 months trying to get United to pay for damages caused by baggage handlers to his custom Taylor guitar. 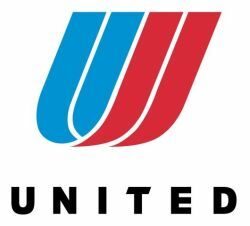 During his final exchange with the United Customer Relations Manager, he stated that he was left with no choice other than to create a music video for You Tube exposing their lack of cooperation. The Manager responded : “Good luck with that one, pal”. received over 5.5 million hits. United Airlines contacted the musician and attempted settlement in exchange for pulling the video. Naturally his response was: “Good luck with that one, pal” . In addition, there are now dozens of spoofs about this whole incident on YouTube. DON’T MESS WITH A MUSICIAN’S INSTRUMENT!